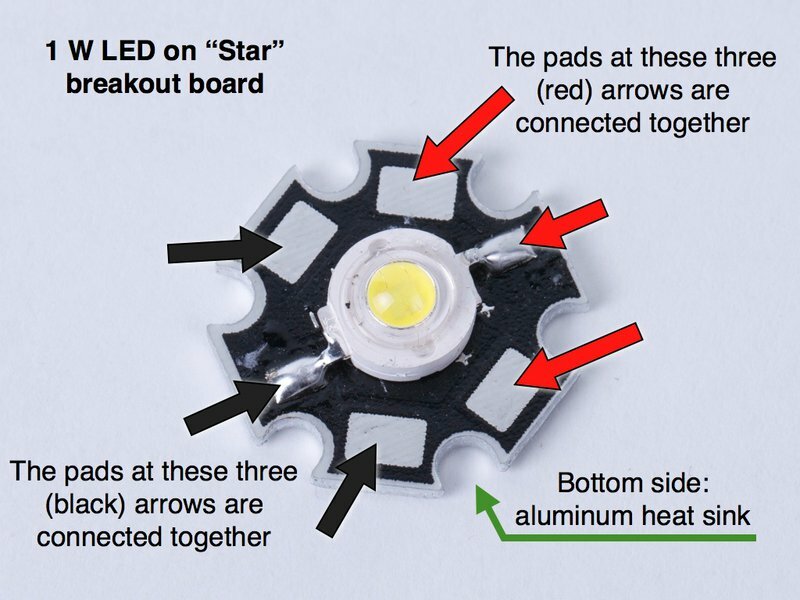 Pre-mounted to aluminum "star" breakout board. 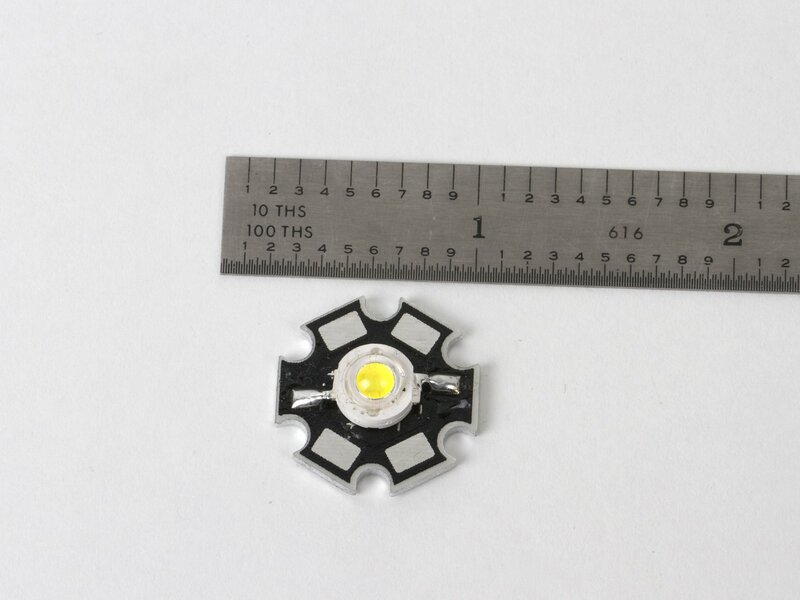 A fine 1 W white LED, mounted on a "star" style aluminum breakout board. 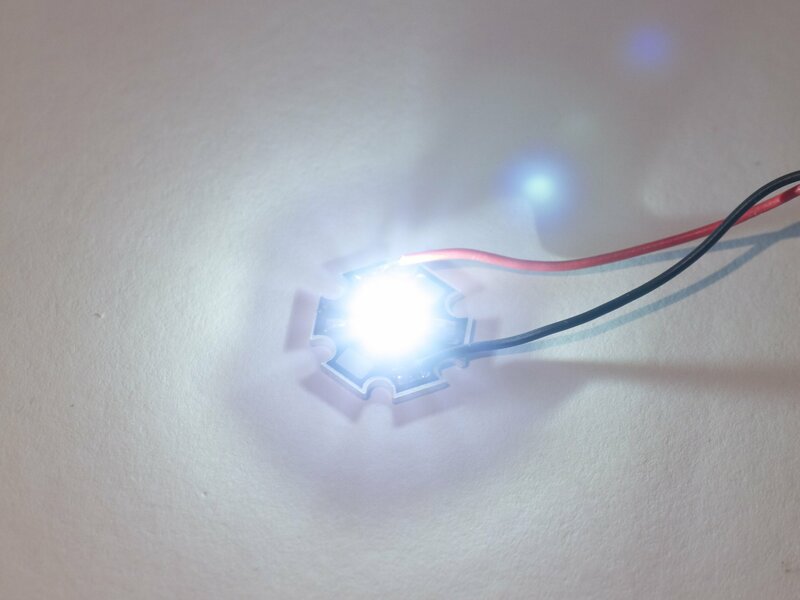 Painfully bright; we recommend not looking directly at these LEDs when they are lit up. 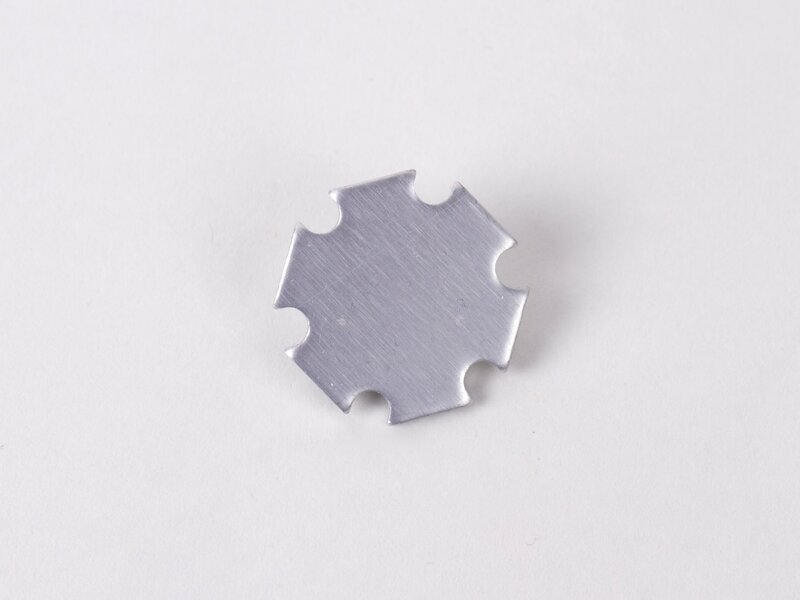 The surface mount LED element is pre-soldered to the aluminum star printed circuit board, that simplifies connections and assists with heat sinking. 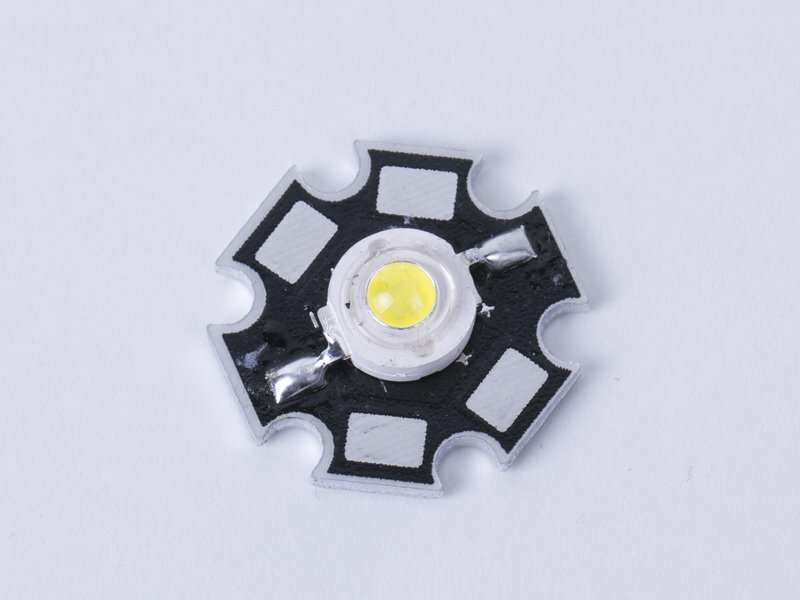 For most applications, the breakout board should be contacted to a larger heat sink to prevent overheating of the LED element.